The Spanish Language edition of my book Hope in Times of Darkness is available now at Amazon and other booksellers. You can pick up a copy of Hope in Times of Darkness: A Salvadoran American Experience at the Barnes & Noble located in the Glendale Americana. You can also order the book at your local Barnes & Noble or Borders bookstore. 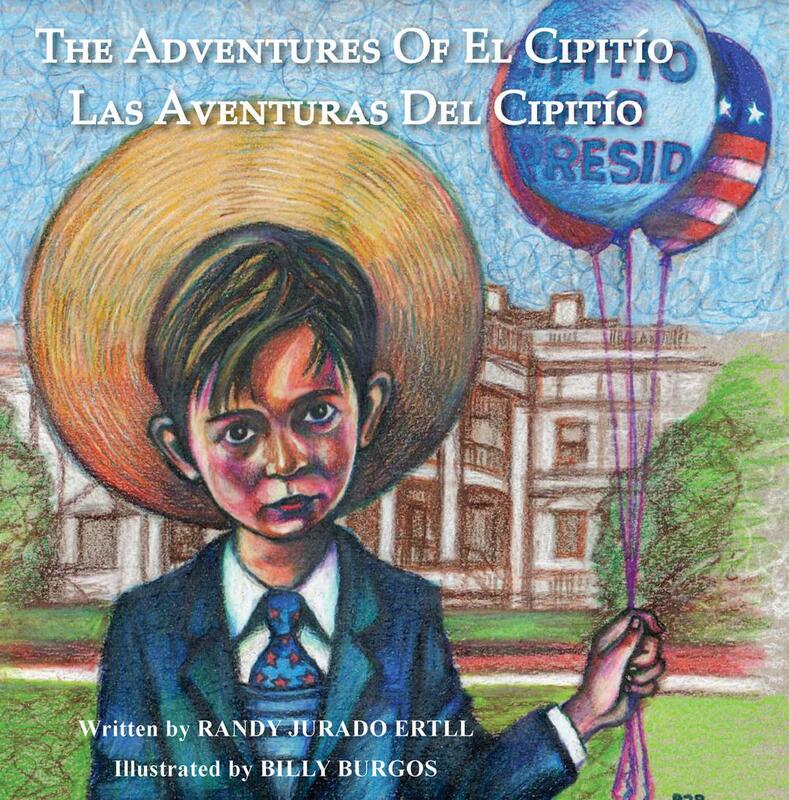 Please visit my web site: www.randyjuradoertll.com to obtain further information regarding book and upcoming presentations/signings. your local Barnes & Noble stores and send you updates of the events that interest you. You can order “Hope in Times of Darkness: A Salvadoran American Experience” at your local Barnes & Noble or Borders bookstore. If they do not have it – you can request for them to place an order for you. You can also ask them if they will order books to be placed on their book shelves. I am also asking my friends to request that the book be ordered and available at their local public library. This is a great way for our community/youth to have access to read a book regarding the Salvadoran American experience/community. Are You Willing to Get Up Early Tomorrow For a Lively Discussion? Are Public School Students and University Students Exposed to Central American Literature or Studies? Books That Students Can Identify With and Feel Pride and Joy When They Read Them? I strongly believe in the contents and message of my book “Hope in Times of Darkness: A Salvadoran American Experience.” One of the main goals of my book is to inspire and motivate our students to remain in school, learn, and to become leaders. Especially to avoid getting involved with gangs. There is rather not much literature/books focused on the Central American/Salvadoran American experience. Therefore, our students need to learn about their own history, culture, and roots to be proud and to respect each other. Through reading and writing. In my book, I included chapters that touched on Latino and African American relations, Mexican American and Salvadoran American relations, violence in our society, among many other important social issues. I talked about my experiences attending Menlo Ave. Elementary School, James A. Foshay Jr. High School, and applying and attending school in Rochester, Minnesota through A Better Chance scholarship program. Graduating from Occidental College. I want students to learn more about academic opportunities (ABC Program) and to also learn about their own community through the book that I have published through Rowman & Littlefield. It was not an easy process, by any means, getting my manuscript accepted and finding a suitable and reputable publisher. I was told by one agent that she was not interested since Salvadorans/Latinos do not go to bookstores or libraries to read. Saturday, October 17, at 10:00 a.m.
3351 43rd St., Leimert Park, CA 90008. Hope you can join me. It will be a great discussion. —Margaret E. Crahan, Director, Kozmetsky Center, Distinguished Professor at St. Edward’s University. —Warren Montag, chair of the English and Comparative Literary Studies Department at Occidental College. —Rampa R. Hormel, environmentalist and President of Enlyst Fund. Hope in Times of Darkness sends a message that we can be agents of positive change, and that minority youth in impoverished areas can succeed in life and become productive citizens of our society. The author, a Salvadoran American, lived in El Salvador as a child but grew up in South Central Los Angeles during the late 1970s and 1980s. He also lived in Rochester, Minnesota; Washington, D.C.; and Alexandria, Virginia. In each of these cities, he observed the dynamics and challenges of the Salvadoran community. As he has both lived and transcended these struggles himself, he is able to depict a realistic and compassionate picture of the Salvadoran American/Latino experience throughout this book. The author focuses on social justice issues and contends that government, community-based organizations, elected officials, and community leaders can help create hope and opportunities for our youth, and thereby help improve our society.